Gene White of Des Moines, Washington is one of the many elderly Americans who took a bad fall. He entered into Seattle’s largest hospital – Swedish Medical Center – because he suffered from back pain. The original plan was for an overnight stay, but it turned into something much longer. When White came out of his dreamlike state, he found himself on the floor after hitting the washbasin. He broke three ribs on his left side. What turned into an overnight visit turned into two more weeks of hospital care and months of recovery in a nursing home facility. The Swedish Medical Center is taking steps to prevent instances from happening again, they have made some drastic changes. Many beds in the hospital now use a bed alarm that goes off whenever a patient who is taking sleeping pills gets up during the night. All of the recently ordered beds come with this alarm. Despite the fact that this may prove annoying for residents, it does allow staff members to respond quickly – provided of course that a staff member is available. Despite the fact that basic safeguards do work, it is important to understand that understaffing remains a serious issue in many different nursing homes. An alarm can never replace good care. It is becoming far more common to see large investment companies buy a number of nursing homes and then try to slash the budget as much as possible in order to increase their profits. One of the side effects of this practice is understaffing. Nursing home staff members report that they work 12-hour shifts without taking so much as a single break. One of the reasons that breaks are mandatory is because when people forgo their breaks, it can drastically increase the odds of an accident happening. It is simply too difficult to remain focused for 12 hours straight, eventually a mistake is going to happen. Fortunately, there are positive exceptions as well, such as the Auburn Medical Center – a hospital that had the unfortunate distinction of being the Washington State hospital with the most falls in recent years. After hiring more than 100 staff members and overhauling its safety procedures, the management says that falls are down 66 percent in less than a year. This just proves that with a combination of safeguards and qualified personnel, it IS possible to reduce falls. For more information on nursing homes in Washington look here. 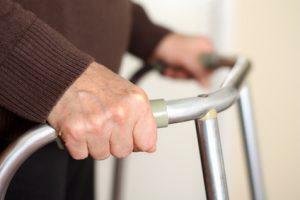 For laws related to Washington nursing homes, look here.